It’s not easy to get a DUI when you’re in the passenger seat, but a couple of Chicago men have managed to do precisely that. 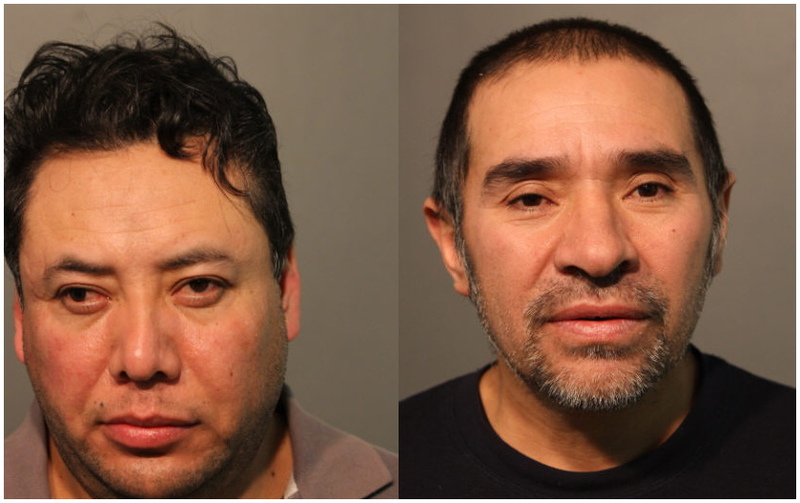 Chicago police say a drunk driver crashed into another car in North Center last Friday and then switched seats with his also-drunk passenger who assumed driving duties. Now they’re BOTH charged with DUI. According to court records, a 19th (Town Hall) District cop was flagged down in the 4000 block of North Western around 1:40 a.m. last Friday by two witnesses. The duo pointed to a Toyota Camry with front-end damage that was pulling out of a nearby gas station’s parking lot. The officer followed the car and saw it “weaving and swerving over the lane lines” before he pulled it over a couple of blocks away. Those two witnesses arrived on-scene shortly after that with a story: They were in a car on Irving Park Road when the Camry made an erratic turn and struck their vehicle in the driver’s door. The Camry fled the scene with the witnesses following close behind. At Irving and Western, the Camry pulled into a gas station where its driver and passenger exchanged seats. Then, the car took off again as the witnesses flagged down police. Marin Garcia, 35, of Logan Square was the driver who crashed into the victims’ vehicle, according to police. Cops say he failed a field sobriety test and refused to submit to a breath alcohol test. He’s charged with aggravated driving under the influence on a suspended or revoked license; driving under the influence; leaving the scene of an accident; failing to have insurance; and five traffic violations. The accused passenger-turned-driver is 45-year-old Faustino Dominguez of North Lawndale. He’s charged with aggravated driving under the influence on a suspended or revoked license. Judge David Navarro released Garcia on a recognizance bond and set bail for Dominguez at $2,000. Garcia failed to show up in court on Wednesday. A warrant has been issued for his arrest. Original reporting seen nowhere else. Please support our work by contributing to the CWBChicago operating fund. Donate $49 a year or $5 a month to receive members-only reports and services.